I'm 60 (and although i'v been working for a US Company for serveral years, with a lot of visits to the US, my english is'nt nearly perfect - so i beg your pardon ) - and driving bikes for many years (from my first Honda 650, which i don't even know the name anymore, to Honda sevenfifthy - in US called "Nighthawk" - Honda SLR 650, a lot of different scooters to Honda NC 750 S, Honda CRF 250 L, Honda NC 750 X..) but with a 18 Years Stop cause of family interests - and now actually driving a Honda CRF 1000 L "Africa Twin" (Colour "Tricolor") which i bought new in May 2018 (no DCT). Be welcome here at this famous forum. Another German Rider, who hopefully shall be active in this forum. Did you notice that we have the VIM in June this year in Denmark? Would be nice to meet you over there. Thanks for the Welcome - but what is "VIM" ? Short version, VIM is an international anual meeting at the beginning of Varadero Riders and nowadays a meeting of Ex-Varadero Riders, Varadero Riders and Honda Adventure Riders such as CT- and AT-Riders. But I´m sure that Bernard, the founder of VIM, will welcome you and he will have a better explanation for the VIM. Do not worry, AT have some ease in off road, and sure you can find some ideas on this forum too . Information about VIM 2019 you can get at the frontpage of this forum. Tnx for the introduction, Rainer, appreciated, lol. And yes, another warm welcome, Rofada! VIM still stands for Varadero International Meeting, because our community is founded on exactly that bike back in 1998. VIM is organized once a year during the Witsun weekend (Pfingsten); this year in eastern Denmark. Check the VIM section on our forum, where you will find all further info's and details. 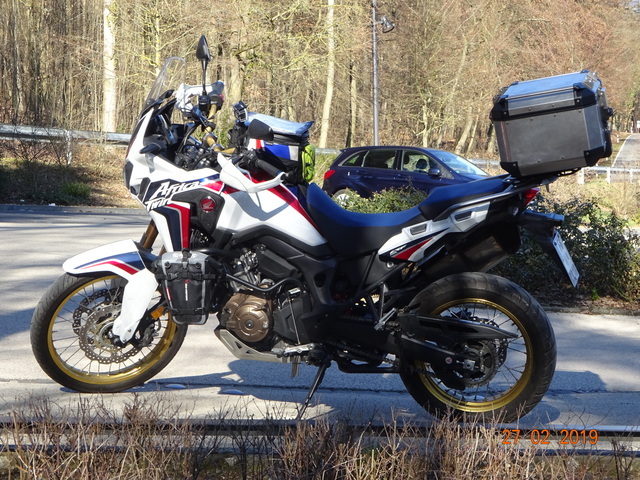 Like the ITT (International Transalp Treffen) on which I originally based the idea of VIM, members of our community (which also has spread over Facebook but with the 'core' clubhouse this Forum) are welcome on other big Honda adventure bikes (Crosstourer, Africa Twin) or like Rainer, on other bikes if you have visited VIM previously and changed for another motorcycle.